Unclaimed 1920s bank account with a JDC connection. When Herbert Block received a call from Citibank in 2004, it wasn’t about his credit card bill or personal banking. 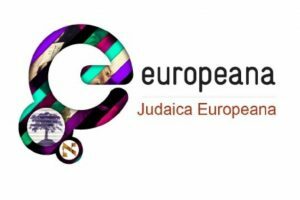 It was about two mysterious 70-year old dormant Jewish organizational bank accounts from Lithuania with no owner, no claimant, and no heir in sight. Citibank maintained the New York accounts, with a balance of approximately $60,000, but had seen no activity in the accounts for many years. Citibank approached The Holocaust Claims Processing Office (HCPO), a division of the New York State Banking Department, to assist with getting to the bottom of the story. Citibank wanted to find an appropriate successor organization that could claim a moral, if not legal, right to the funds. If no entity was designated as the owner within a certain time frame, the funds would escheat and be returned to the State of NY. The deadline was looming. HCPO knew JDC was playing a lead role in the World Jewish Restitution Organization (WJRO), a group that negotiated with governments for the return of private and communal Jewish property, as well as for compensation, in the wake of the Holocaust. Consequently, HCPO approached Herbert Block, JDC’s representative at WJRO, to help determine what to do with the accounts. Block researched in the JDC Archives and, with the help of Senior Archivist Misha Mitsel, determined that the original holder of these accounts was the Centralinis Zydu Bankas Kooperacijei Remti Lietuvoje (Central Jewish Bank for Furtherance of Cooperatives in Lithuania), a bank founded in 1920 with the help of none other than JDC! 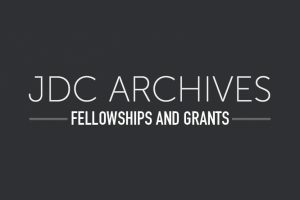 Buried deep in the archives was proof that JDC had been an original custodian of the accounts. 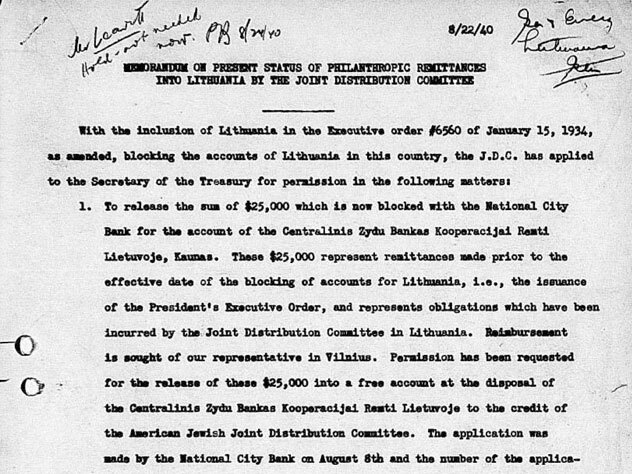 The accounts had originally been opened by JDC to help impoverished Jews secure loans at low interest rates to help reconstruct Lithuanian Jewish lives in the wake of World War I. No one with affiliation to the bank in the 1920s and 1930s could be found to assume ownership of the accounts. Block realized that the funds had come “full circle” and found their way back to the Joint. 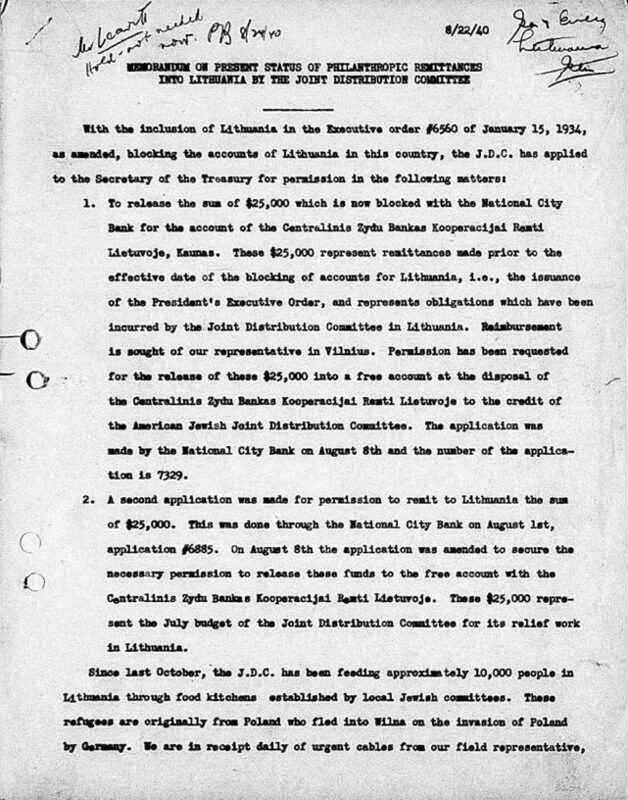 He recommended that the monies be granted to the Vilnius-based Foundation for the Lithuanian Jewish Heritage, which was being formed by WJRO and the current Jewish Community in Lithuania to support cultural, educational and welfare activities for Holocaust survivors and the local community.